The springtime sun is coaxing BC’s vineyards awake, and soon new grapes will herald the beginning of wine touring season in the Okanagan Valley. With 182 licensed wineries stretching from Lake Country south to Osoyoos, it’s easy to sample everything from auxerrois to zinfandel. The hard part is deciding where to go—and how to tour. Here are six ideas. 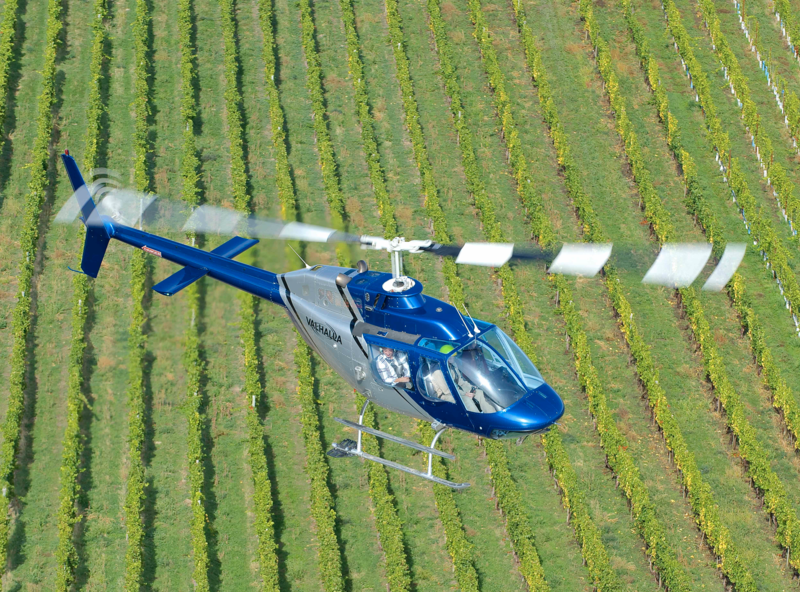 Hop aboard a whirlybird with three of your besties and fly to a few wineries on a half-day or full-day heli-wine tour with Kelowna-based Valhalla Helicopters. En route to gorgeous wineries with their own heli-pads (or suitable landing areas), including 50th Parallel Estate in Lake Country and Fitzpatrick Family Vineyards near Summerland, get a bird’s eye view of the valley’s calm lakes and rolling highlands from the chopper, and learn about the region’s history from a knowledgeable pilot. 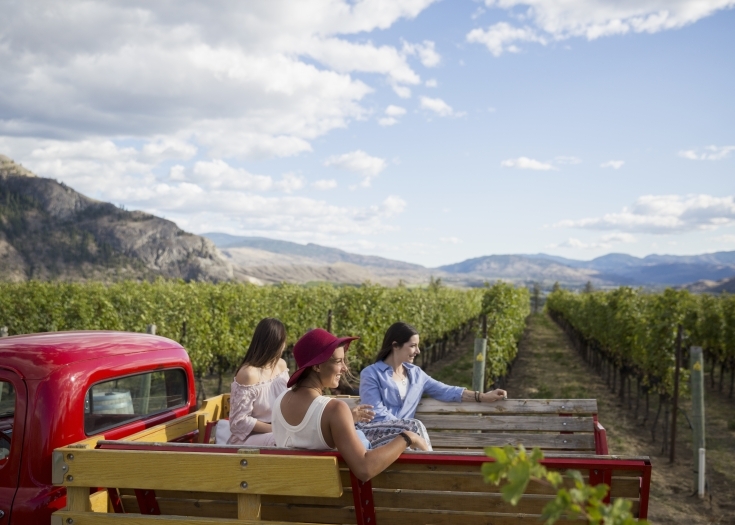 Climb into a red vintage pickup truck at Covert Farms Family Estate, near Oliver. The whole family will enjoy the tour of this 650-acre property, especially since you can stop to pick organic produce along the way. Afterwards, relax with a sample of pinot blanc while the kids jump on the jumbo bouncers or play peekaboo with the herd of highland cows. 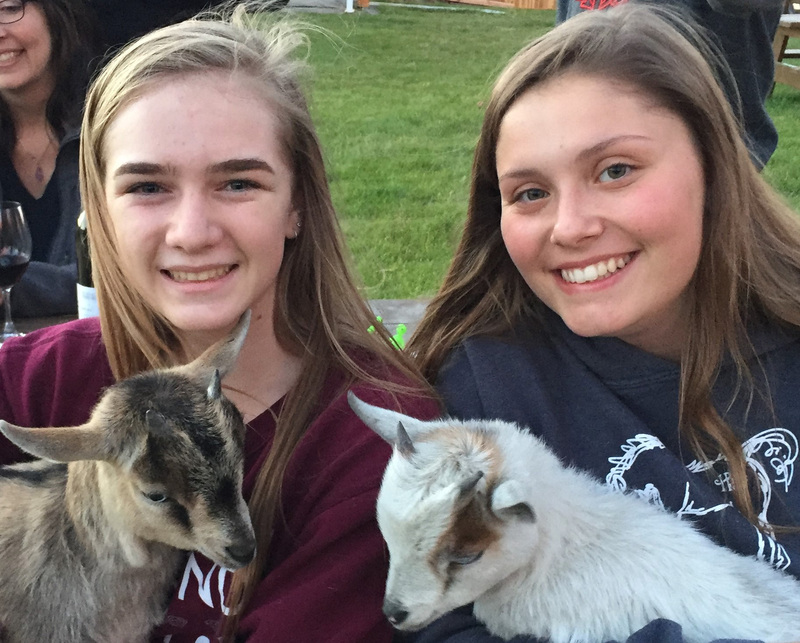 Other valley wineries are incorporating fun family distractions, too, from vineyard sheep at Off the Grid Organic Winery in West Kelowna, to play sets and picnic tables like those at Sperling Vineyards in Kelowna. Visit Nk’Mip Cellars, the first Indigenous-owned and operated winery in North America, located at the south end of the Osoyoos reservation. Join the Land to Legacy Vineyard & Cellar tour, offered daily at 2 p.m., to drink in the winery’s unique history, along with five samples of wine. Be sure to stop by the neighbouring Nk’Mip Desert Cultural Centre, where a reconstructed village and interpretive walking trails lend insight into the Syilx people’s way of life. 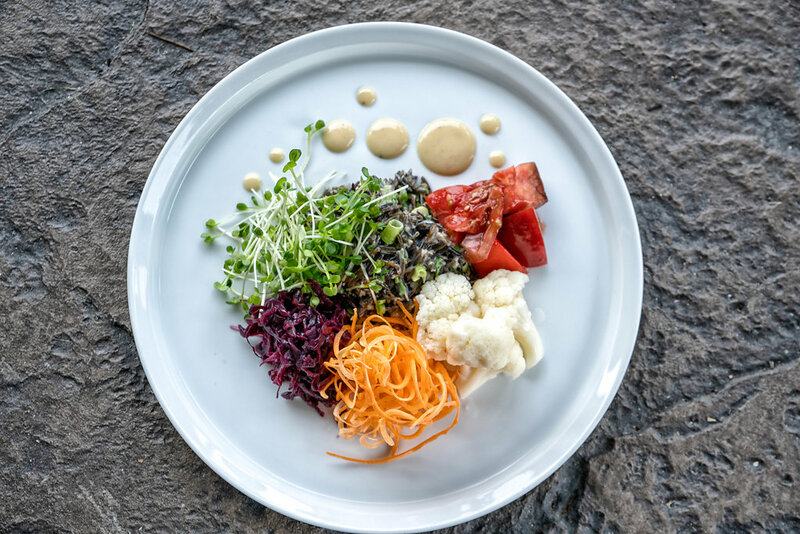 Or, pair award-winning wines with modern native cuisine at the Red Fox Club restaurant, on-site at Indigenous World Winery in West Kelowna. Sip wine to live music at a winery concert. 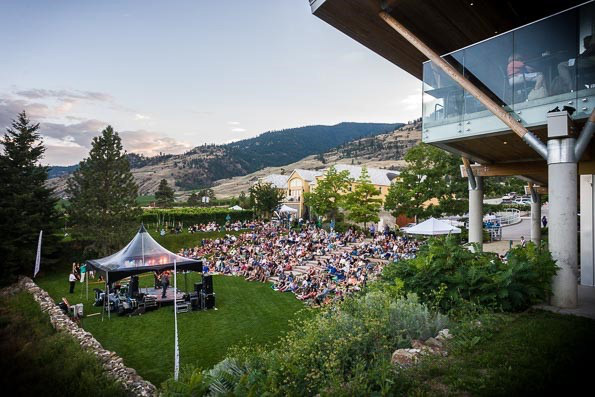 Both Mission Hill Family Estatein West Kelowna and Tinhorn Creek Vineyards near Oliver host an annual summer concert series in outdoor amphitheatres with performers ranging from a Beatles tribute band at Mission Hill, to the afro-funk sounds of Coco Jafro at Tinhorn Creek. For drama lovers—and pinot noir-philes—Shakespeare Kelowna puts on Twelfth Night at SpearHead Winery (known for its pinot!) in southeast Kelowna in July. Get caught up in the winemakers’ passion at three intriguing wineries in southeast Kelowna. 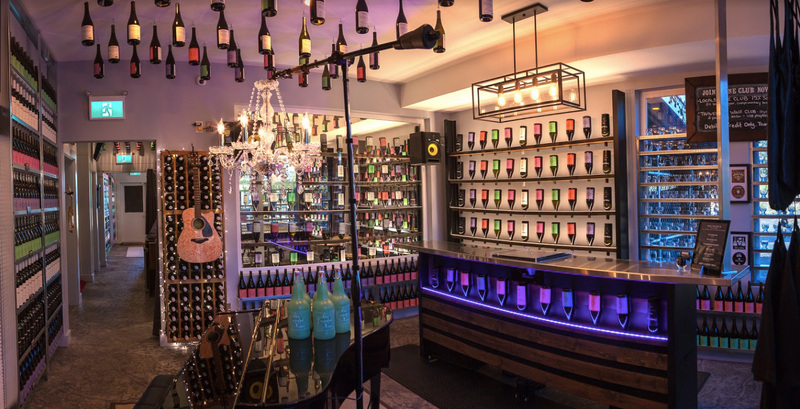 Learn how harmonic sound frequencies clarify the wine at Frequency Winery, which boasts a recording studio in the middle of the tasting room. Step inside a Great Pyramid replica, where wine is aged and clarified, at Summerhill Pyramid Winery. And don a pair of 3D glasses to admire psychedelic artwork that literally jumps off the walls (and the bottles!) at The Vibrant Vine. 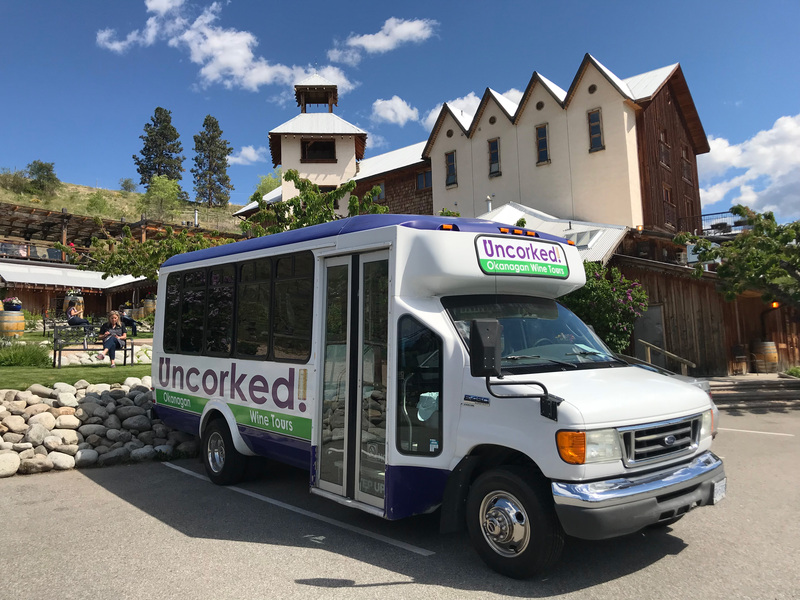 Pick your favourite valley wine region and let an experienced driver tackle the twisty roads on the Naramata Bench or the Westside Wine Trail on a tour with Uncorked Okanagan Wine Tours. Tours stop for up to an hour at each of four or five wineries, from icons such as Quails’ Gateto boutique wineries like The Hatch. Between tastings the guide shares his or her knowledge while you kick back, enjoy the bucolic scenery and add to your BC wine collection.